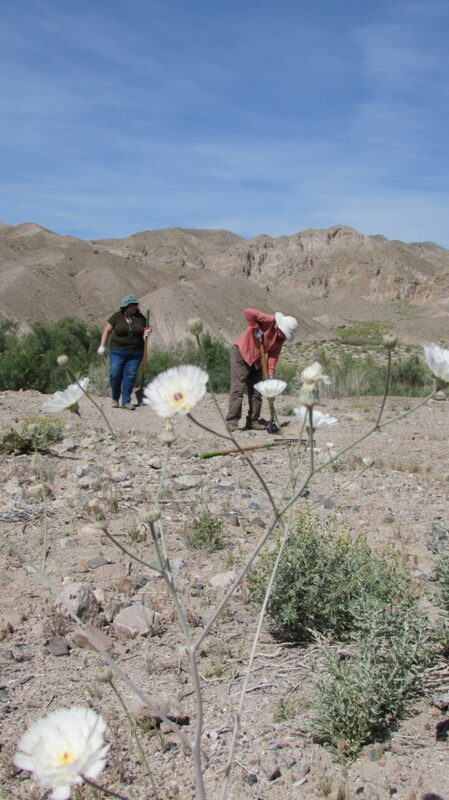 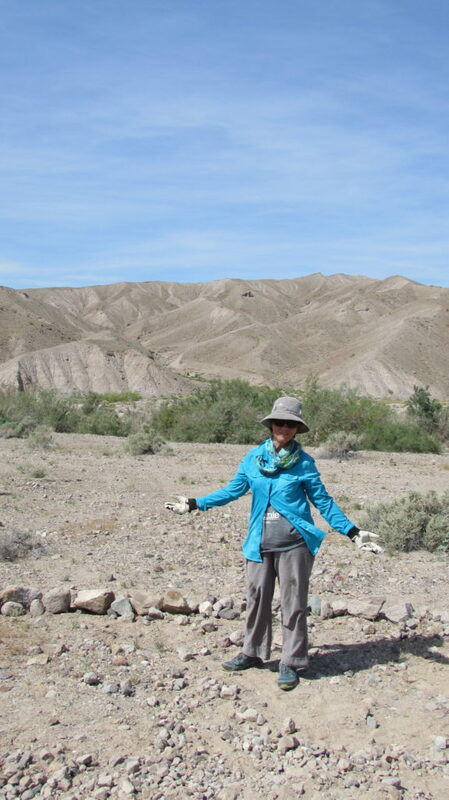 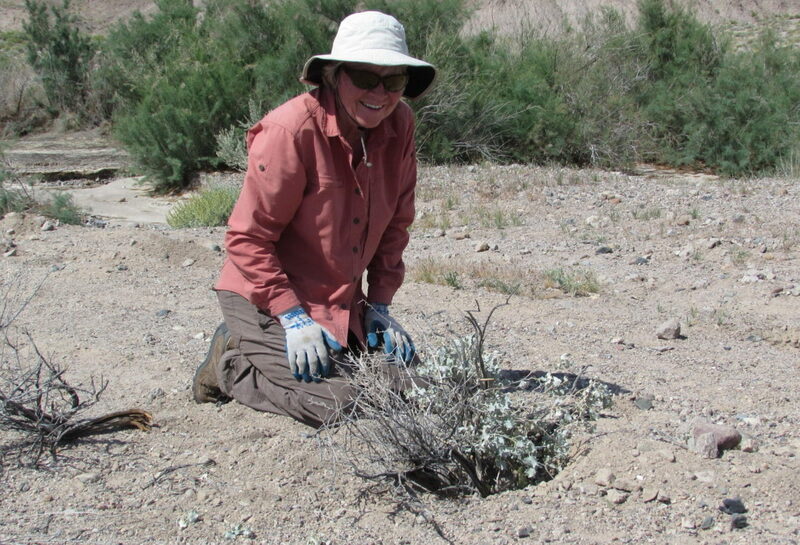 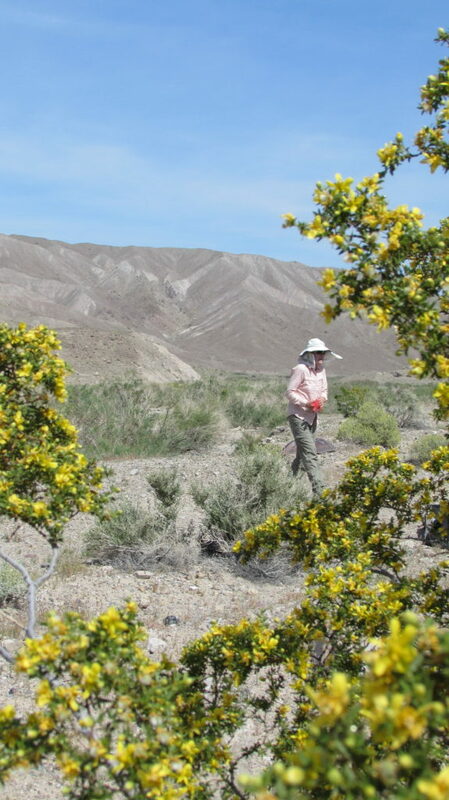 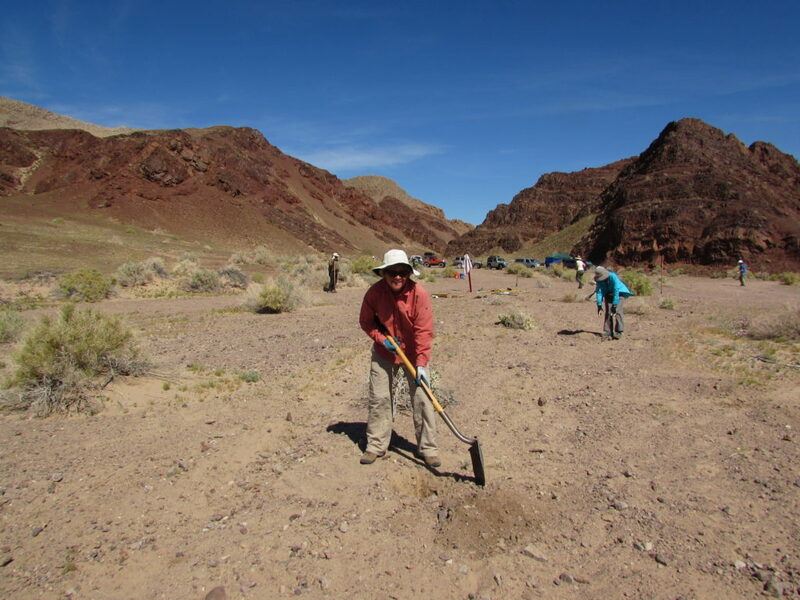 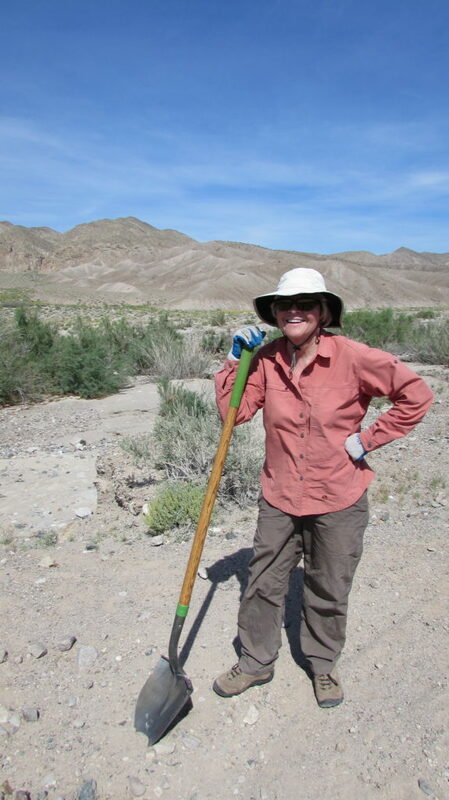 On a weekend in March, we welcomed the Great Old Broads for Wilderness to our restoration worksites in Sperry Wash. 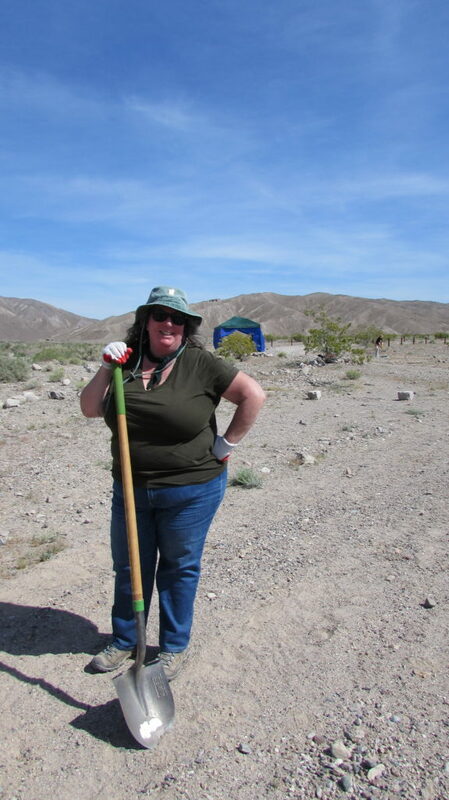 The worksites were planned out, all of our tools were packed and sorted, the temperature had increased a solid ten degrees, and we were eager to meet the Broads and see what we could accomplish together. 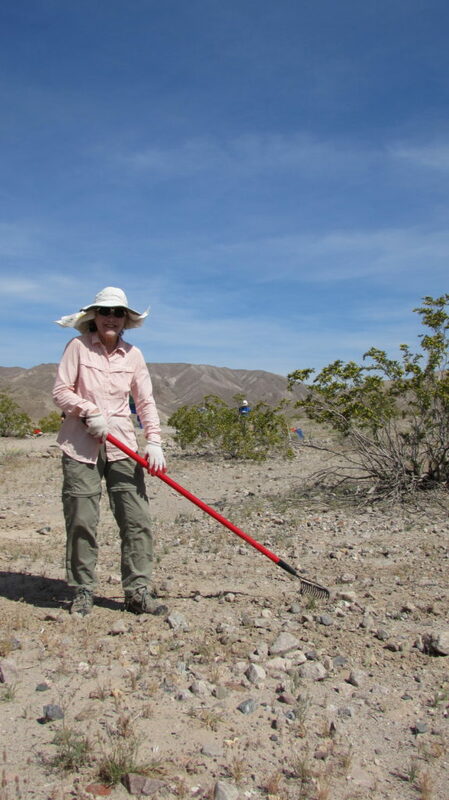 The Great Old Broads for Wilderness is a national organization that engages and inspires activism to preserve and protect wilderness and wild lands. 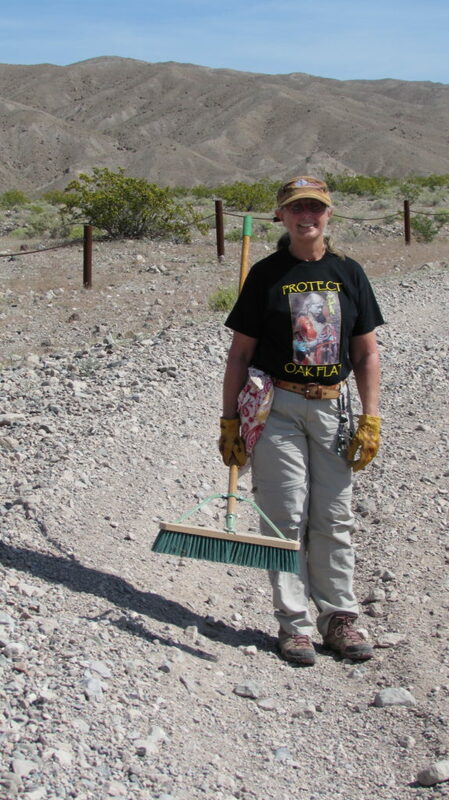 Their mission statement says that they bring knowledge, commitment, and humor to the movement to protect our last wild places on earth, and boy- they did not disappoint. 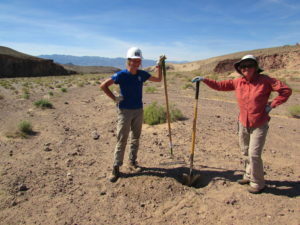 After sharing some general desert restoration theory in the large group, the 18 Broads divided up into three work groups, each led by one of us interns, to get down to business. 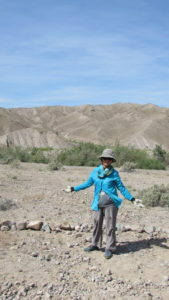 The Broads were kind and engaged, eager to learn and eager to work. 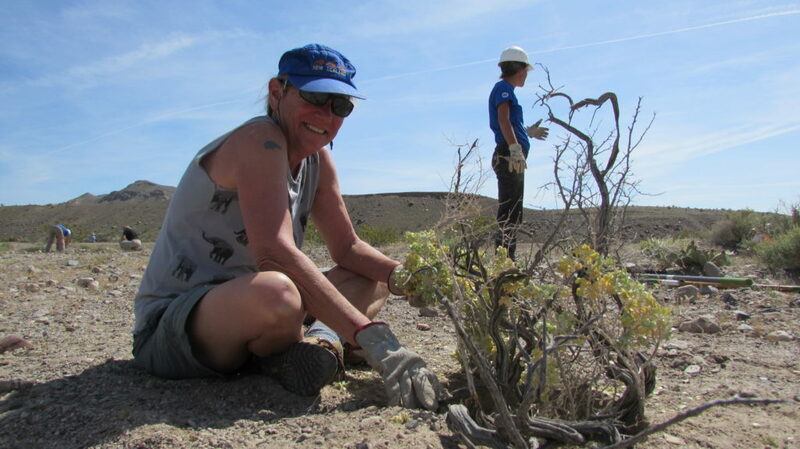 As the days went on we loved getting to know our group dynamics, and it seemed like each person had found their niche in the art of desert restoration. 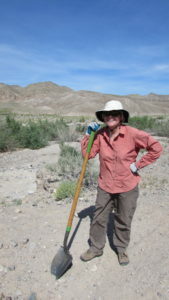 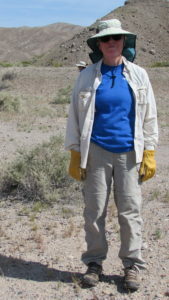 Anita was quite fond of brooming the desert, or “zen gardening”, as she liked to call it. Another pair knew just the right kind of branches to gather, and yet another woman had perfected the art of building bushes. They were inventive too, always suggesting new tactics to work smarter. One pair came up with the idea to string the bucket handle along a shovel so that two people to carry a larger load of rocks easier! 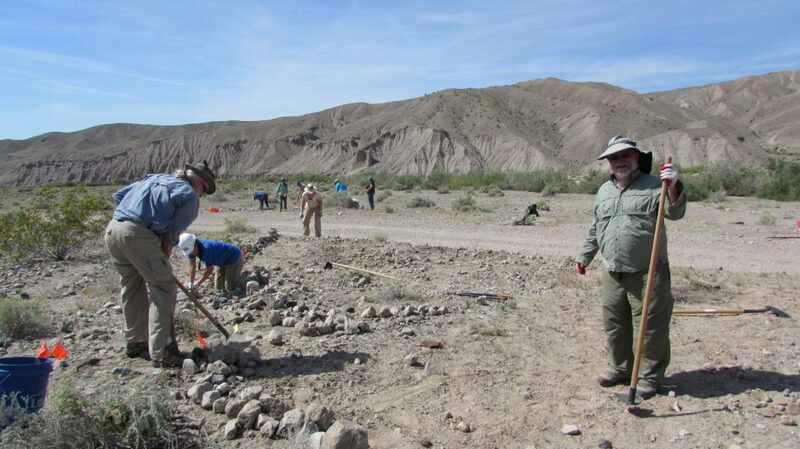 On the third and final day of the Broad Works, they got the opportunity to test their four-wheel driving skills and drive all the way out to our site in the back of Sperry Wash. We had worked near the entrance to Sperry Wash the first two days, erasing tire tracks off hills in wilderness areas and filling in closed routes with vertical mulch- all with the goal to concentrate user impact on the one open route and not encourage anyone to follow old tracks and stray into delicate wilderness areas. 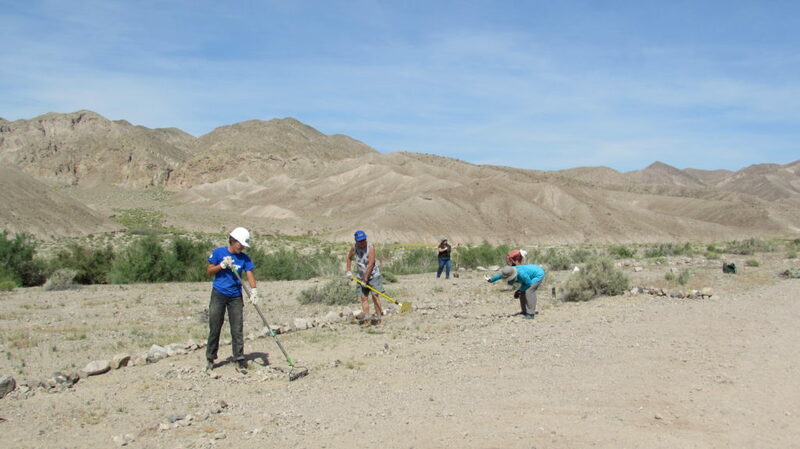 Switching to a new site was a nice change of pace for them, and we were eager to show them the beauty of Sperry wash and the Amargosa Canyon. 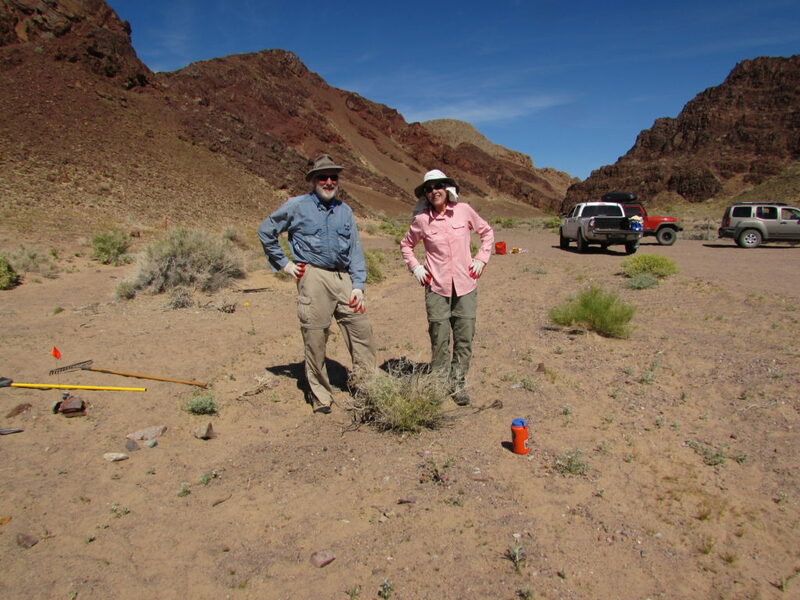 The exponential amount of restoration that the Great Old Broads helped us to accomplish this week was incredible, but we are thankful to them for so much more than that. These women and men are passionate and committed, and continue to live impactful lives full of adventure, service, and laughter. 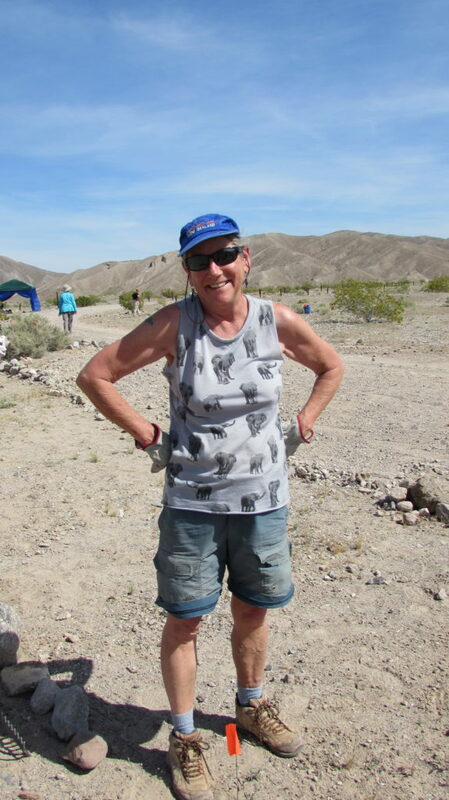 All of us Conservancy employees ended up buying some sort of Great Old Broads gear at the end of the week and sport them proudly – eager to show off our new friends and what they stand for. 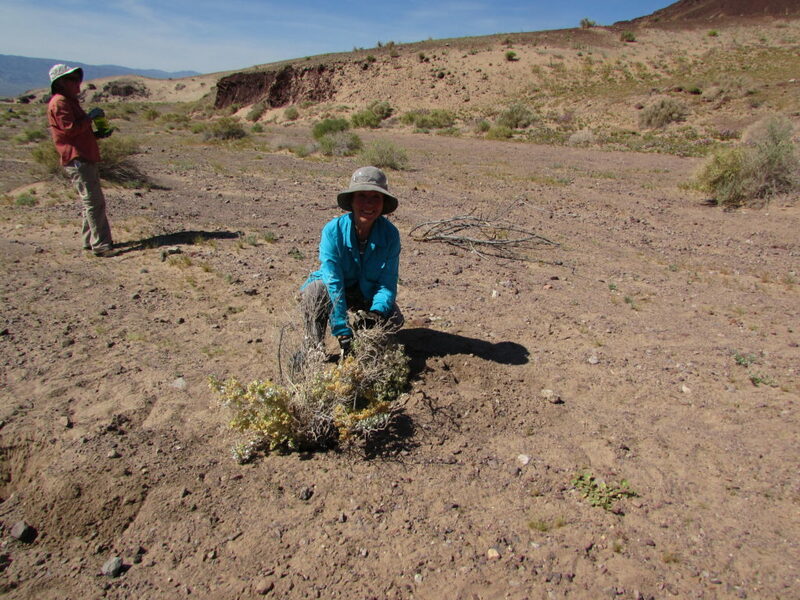 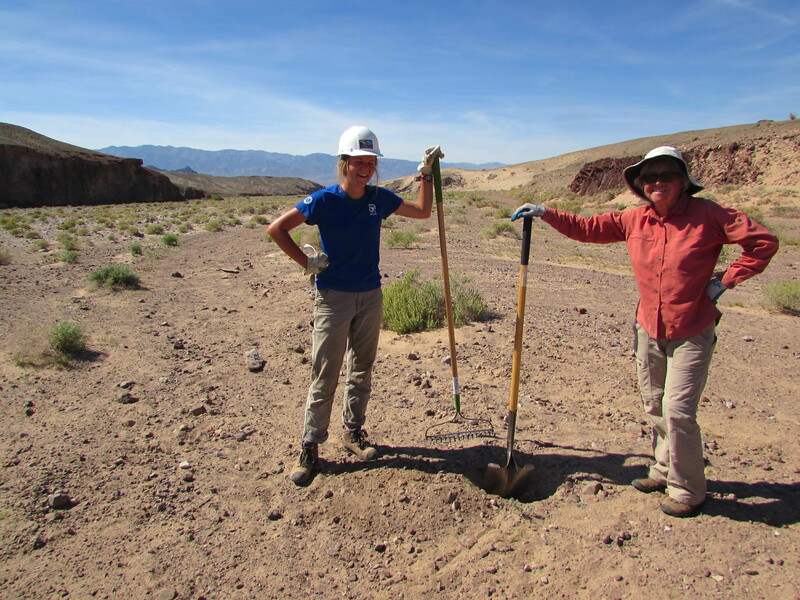 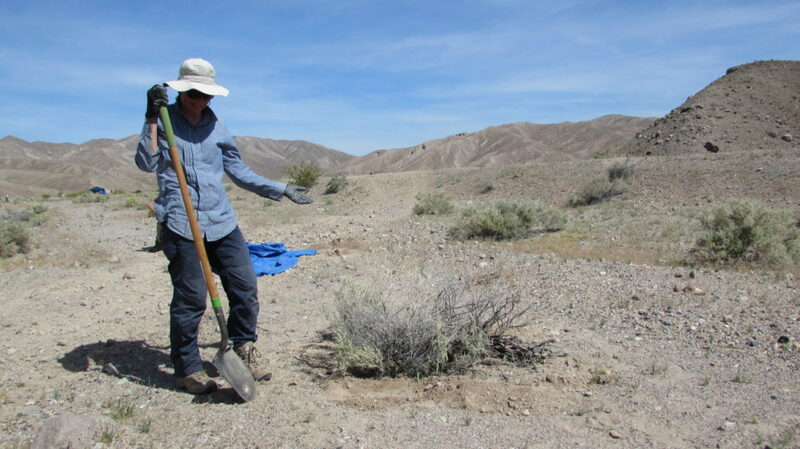 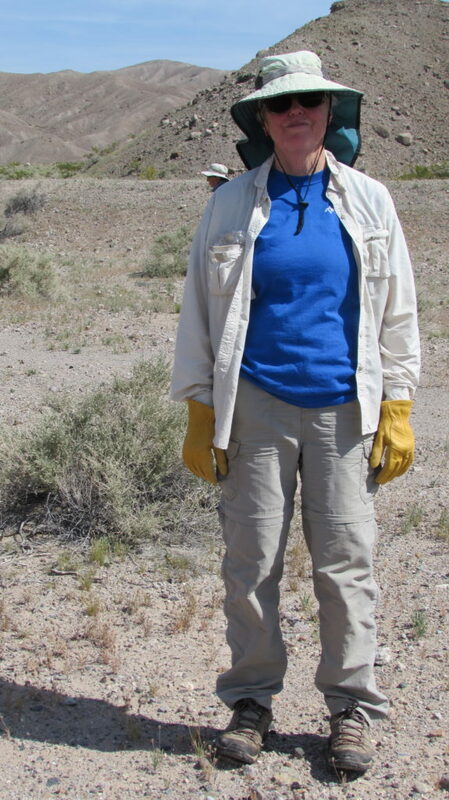 A huge Thank You to Great Old Broads for your contribution to desert restoration and for working with us at the Amargosa Conservancy!